The Korean Wave is known as hallyu. This word is used to describe how the Korean culture is viewed across the globe. The Korean Wave is primarily seen in the form of television, music videos and movies. These dynamic forms of media are being broadcast all across the globe. They make the perfect vehicles for teaching the average person the Korean language through the use of subtitles. Subtitles are very practical for the Korean language because a person can learn basic phrases, informal speech, formal speech and how regular Korean people communicate every day. They can even learn how to speak like young Korean millennials or like the older reserved Korean population. Subtitles will definitely enhance the learning experience of any person that wants to know how to speak this language. When people are communicating with one another they typically utilize a set of words during their interaction. For example, two teenage females are hanging out in a room talking about people at school. During their conversation, these two individuals will use certain words to describe what they are talking about. They will also use specific cues to let each other know who they are talking about. Visual cues and body language will also be presented during the conversation to let each other know how they feel about someone at their school. The point is that subtitles provide Korean language learners with the same type of information. They help people to learn the language in various different situations and in context. Subtitles for different types of videos simply help people to learn what types of words to speak in Korean and when to speak this language. How to learn Korean with dramas will teach you this process. 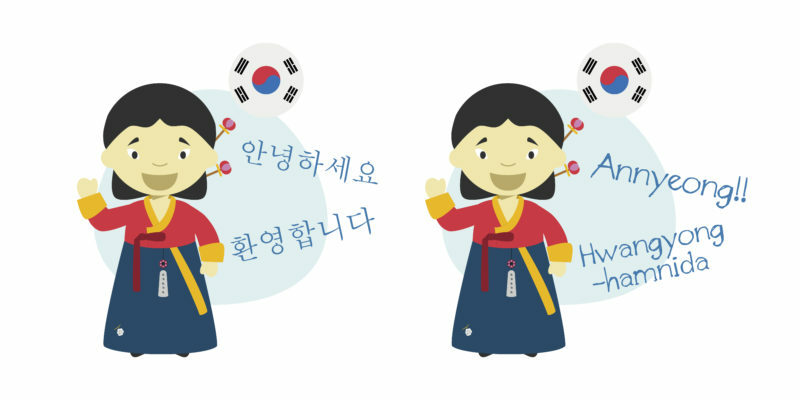 There are three basic ways that you can utilize the Korean language to improve your skills. First, you should watch a Korean language video with English subtitles. Next, you should do the opposite and view English movies with Korean subtitles. Many English movies or videos might not have this feature but some do and you should look to view those movies. Finally, you should watch Korean videos with Korean subtitles to ensure that you have mastered the language. Keep in mind that Korean subtitles will help you to practice your listening and reading skills. It will also work for your speaking skills as well. Whenever someone speaks in Korean and the information is translated into English (subtitles) it will teach you how to properly speak words and phrases. The same is true for when you watch English to Korean subtitles. You will get a basic idea about how English translate into Korean when spoken. Watching Korean videos with Korean subtitles will teach you how to speak in Korean and how to understand the language when it is being spoken. How to learn Korean with Kdrama is a great way to grasp the language. Korean videos with subtitles can be found online on sites such as YouTube, Viki, Dramafever and DramaGo. Korean videos with subtitles can also be found on sites such as Netflix or another online movie subscription service. You can also find Korean subtitle movies and videos by typing in the Korean character that represents subtitle at the end of a movie or video phrase or word. This will usually show the movie or video with a subtitle. You can copy or paste the Korean symbol for subtitle at the end of a search term. By the way, the Korean character for subtitle looks like this: 자막. Many language instruction sites such as Fluent U can also provide videos with subtitles that will help you to grasp the Korean language. While subtitles will help you to learn the Korean language, they can also handicap you when it comes to understanding this dialogue. Be careful when using subtitles because they can cause you to stop interacting and actively listening to what the Korean speaker is saying. When subtitles appear on a screen, most people will read them and not pay less attention to a person’s voice and their body movements. How to learn Korean with dramas is a great way to understand this language. This can cause a delay with you learning how to speak and understand the language. The key is to watch the person as they speak, pay attention to their body language and context clues and then watch the subtitles. Keep practicing these skills because they will help you to better understand the Korean dialect. Watch out for inaccurate or bad Korean subtitle translations. Keep in mind that most people who add subtitles to videos are not going to put a bogus language on their material. This would simply kill their credibility and hinder people from watching and understanding their content. However, some words, phrases and parts of speech are not always correctly translated from Korean to English. The same is true for English to Korean. That is okay because most languages do not perfectly translate into each other. How to learn Korean with Kdrama will help you to figure out this part of the learning process. Still, that does not mean that Korean subtitle translations should be inaccurate or misleading. While this is not the norm, it does happen. There are some Korean subtitle videos or film that are very inaccurate and not authentic. You might not be able to pick up on the inaccuracies but over time if you speak the language long enough you will start to recognize what is really Korean and what is not. When you view a video with Korean subtitles, make sure that you are stopping the video at certain intervals to figure out what is being spoken. You should also pay attention to how it is spoken as well. You should speak like the people that are talking on the video and repeat what they are saying. Turn off the subtitles at times to determine how much of the language you actually know. You can always rewind the video to learn different parts. Finally, diversify the videos you watch so that you are learning Korean from different aspects of culture and in different settings. Ultimately, you can develop your Korean speaking skills through the use subtitles. Just make sure to use them in the right way to improve your ability with speaking the Korean language.